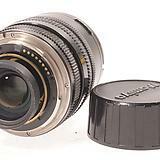 I have found a rather cheap Mamiya G 50mm f4 lens on ebay that has some tiny scratches on the rear element of the lens. Now, I have done some research on how much such scratches could affect the quality, but I have basically read everything from 'completely unusable' to 'absolutely no effect whatsoever'. My question is: How much will such scratches generally affect the image? Will there be less of a problem since it is Medium Format? The scratches seem to be visible only from a certain angle as well. The only way to know the effect of particular marks on lens elements is to take test images with different settings and lighting conditions. May be limited to the coating and have no discernible effect on image quality. May be visible when the lens is stopped down. Could cause glare or flare when used in strong lighting conditions. With lens stopped down completely, a plain-white surface. Such an image will be most likely to show shadows of the marks. It will also show unrelated lens and sensor dust. With lens wide open, a colorful object next to a window during daylight. This will show the extent of veiling glare, which may or may not be related to the marks. This will show the worst veiling glare that you can expect from a particular lens. A sun star, with the lens stopped down and focused at infinity. This will show veiling glare, flare ghosts, and other flare, which may or may not be related to the marks. Some lenses that show horrible veiling glare with an object next to a window have no veiling glare in this scenario. 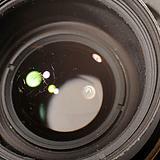 Some other pictures of ordinary subjects in ordinary shooting conditions, to see how the lens performs normally. 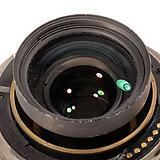 The following appears to be the generally received wisdom regarding marks on lens elements. The inconsistent information you have seen may be incomplete or confused. I have observed most of these effects, but there may be additional factors I have missed. Light-blocking marks on the rear element are more likely to affect image quality than marks on the front or internal elements. Light-blocking marks are more likely to be visible when the aperture is stopped down. Small marks would be expected to show up around F11. Larger marks might show up sooner. Light-blocking marks in the center of an element (at any aperture) are more likely to reduce sharpness or contrast than marks around the periphery. Light-blocking marks may appear (at any aperture) in images as veiling glare or flare. Light-blocking marks may be visible (at large apertures) within bokeh balls. Cleaning marks, often limited to the coating, may not be apparent in images at any aperture. I would not expect sensor size or film format to change the aperture at which effects are observable. However, the perceived effect may be smaller, relative to frame size, on larger formats. Consider what would happen if a lens were moved from one format to another without changing settings or camera position. Details seen in the smaller format should still be present in the larger format. 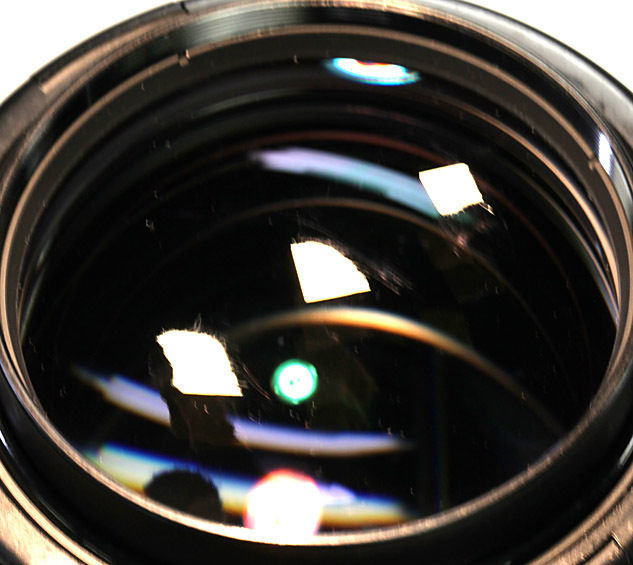 Some lens characteristics, like certain types of flare, (reportedly) show up on digital, but not film, because the sensor is reflective or otherwise responds to light somewhat differently. This could affect the visibility of rear-element scratches on images as light reflects between the sensor and rear element. Some people claim that filling in scratches with ink will reduce flare caused by scratches. I have not seen any positive effect when I've tried it. What I did see is increased visibility of scratches within bokeh balls. Only slightly more than tiny scratches on the front of a lens will - which is to say not at all most of the time. It takes a LOT of damage from scratches or fairly sizeable obstructions before they become noticeable! 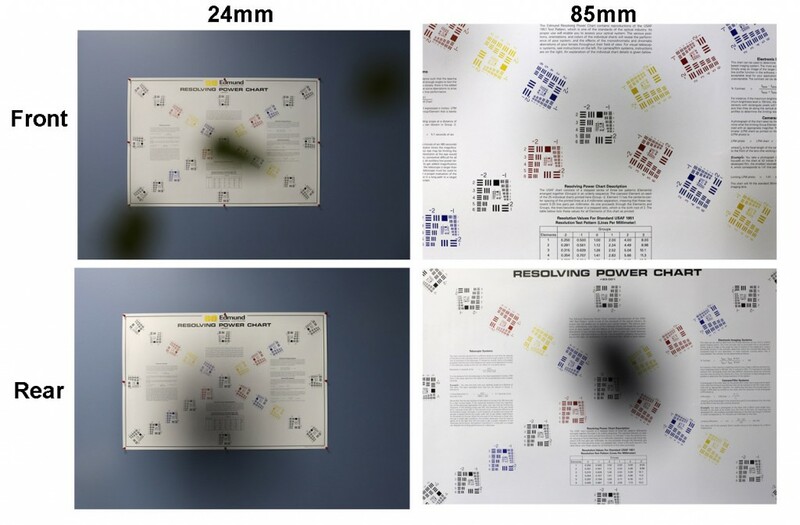 These photos from Roger Cicala's two blog entries linked directly above at lensrentals.com illustrate just how far a lens can be damaged or obstructed with very little impact on image quality. If the scratches are causing a perceptible effect on your images, then masking them with a very fine (to minimize the size of the mark) black marker can reduce the amount of flare to which the scratches may contribute. Not the answer you're looking for? 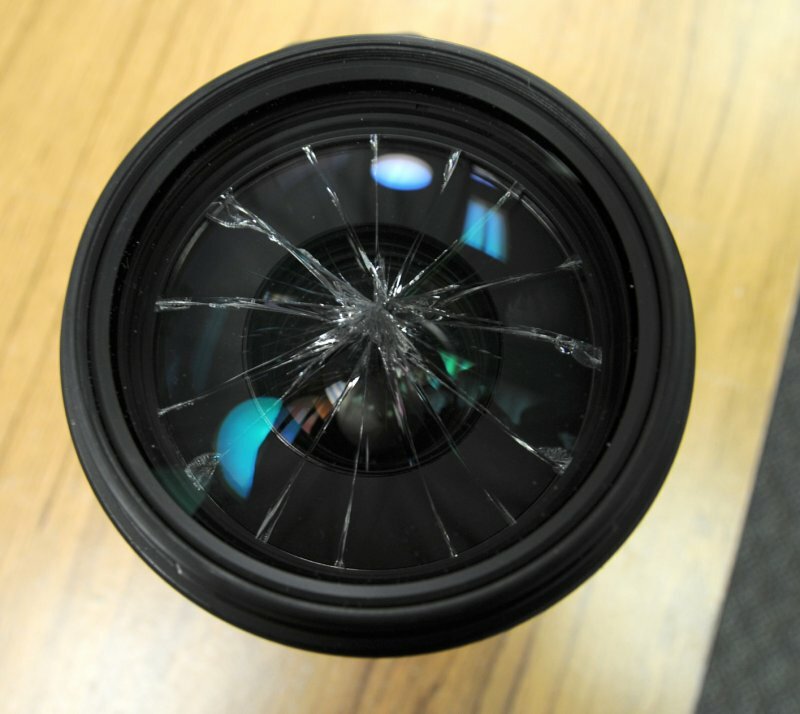 Browse other questions tagged lens image-quality equipment-damage used-equipment scratches or ask your own question.